Don't you just love a good scavenger hunt? Let's find the fun Mushroom Houses Charlevoix! So here's the plan: Grab your pet gerbil, a couple friends, some snacks and our Mushroom Houses map below. 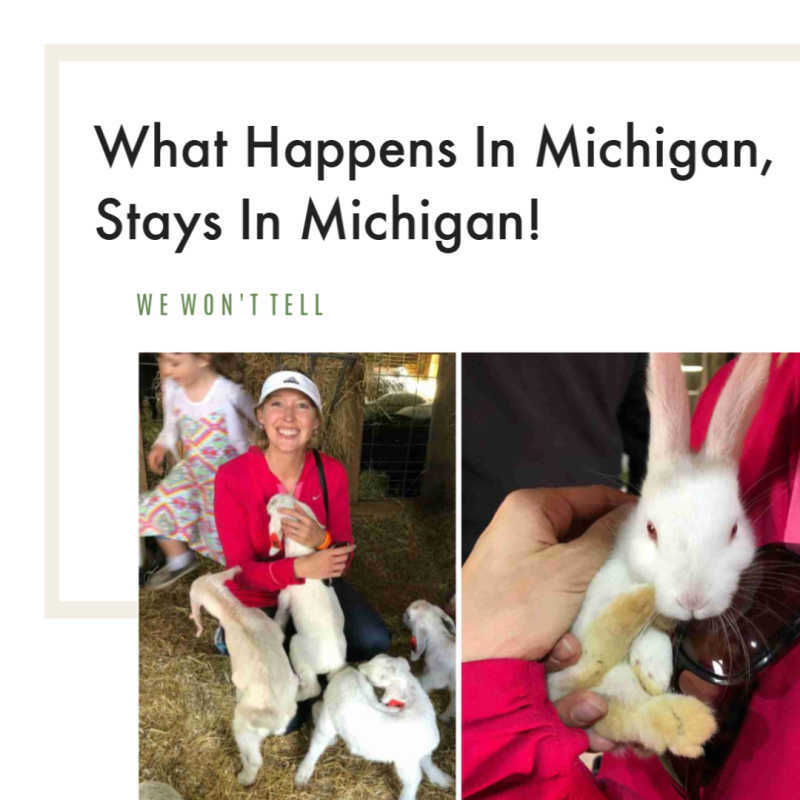 Hop in the car and road-trip it to Charlevoix, Michigan! Earl Young's exquisite Mushroom Houses Charlevoix Michigan are definitely worth your while to check out. These exquisite homes, sometimes called Hobbit Houses or Gnome Homes are scattered throughout the gorgeous coastal town. It's almost like a scavenger hunt to find each of the eclectic homes during your trip to Charlevoix, Michigan! Here's a little history so you know what you are looking at: Earl A. Young (March 31, 1889 – May 24, 1975) was an American architectural designer, realtor, and insurance agent. During a 52 year career, Mr. Young designed and built 31 structures in Charlevoix, Michigan. But the crazy thing is that he was never a registered architect. The majority of his homes are constructed with stone, limestone, fieldstone, and boulders he found throughout Michigan and lugged back to Charlevoix. Mr. Young was very fond of curved lines so you will very often notice distinct curves in doors, windows, roofs and fireplaces. Young's mission was to prove that small stone houses could be as impressive and awe-inspiring as a castle. Young's fantastic and curious homes drew the attention of thousands of tourists which helped to develop Charlevoix into the popular resort town it is today. 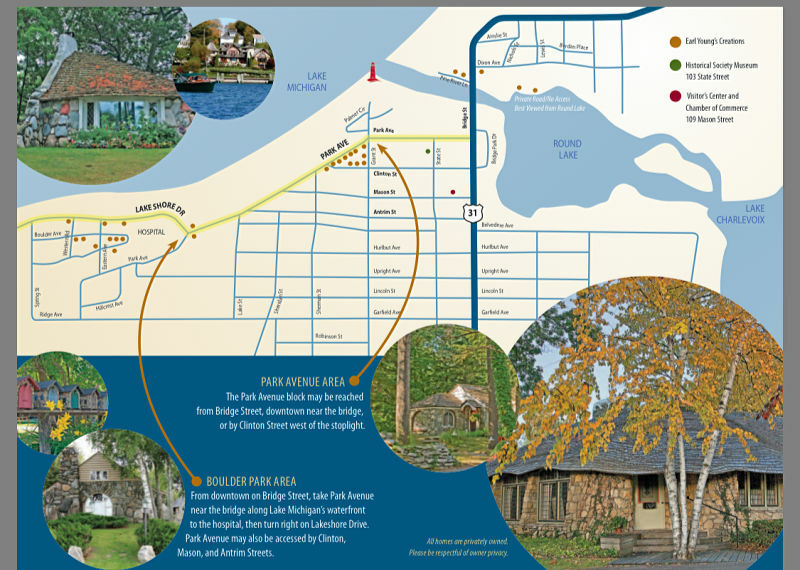 Here is a map of the gnome homes in Charlevoix, Michigan if the one above is not as clear as you need it. 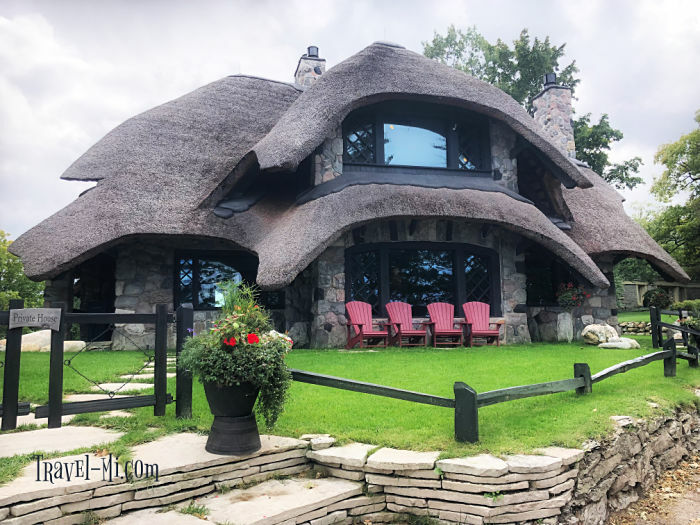 The Thatch House is my absolutely favorite of the Mushroom Homes in Charlevoix, Michigan. It is a private home that underwent massive renovation in 2013. Earl Young built the original home in 1919. In 2013 Michael Seitz bought the home but wanted to update it and add a little more wow factor. He kept the original stone walls. The roofing material was constructed of genuine thatch that is estimated to last 60 years. Mr. Seitz completely renovated the home to include six bedrooms, five and a half baths, three fireplaces and two living rooms. The light in the home is simply exquisite due to tons of windows and high ceilings. The thoughtful landscaping is also stunning. And the best part? He turned it into a vacation rental so you too can enjoy it year round!! 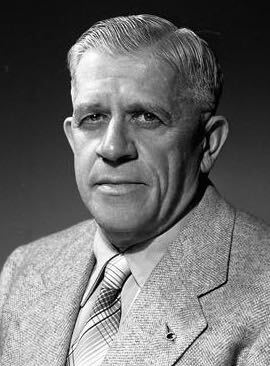 Earl Young created The Weathervane Inn, which opened in 1955. The restaurant houses five fireplaces; the main one in the dining room is topped by a 18,260 pounds boulder that was found by Mr. Young. He liked that it was similar in shape to Michigan's lower peninsula. I hope your mushroom homes scavenger hunt was fun and successful!